Happy Holidays Shoppers! 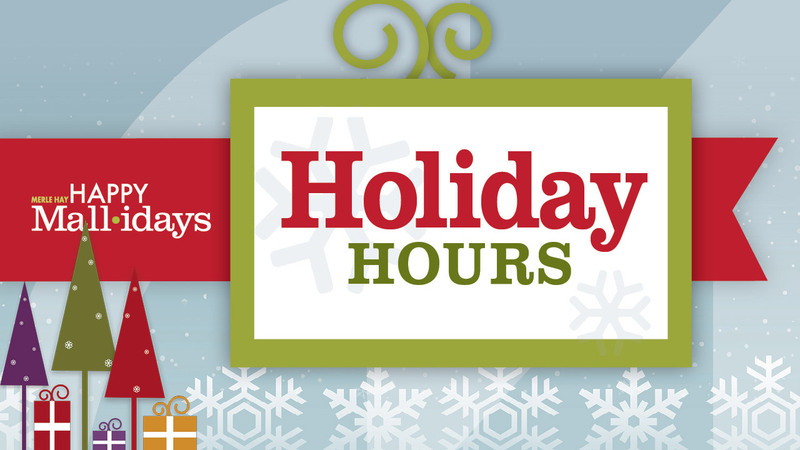 The below graphic indicates Merle Hay Mall Hours this Holiday Season. Santa's Hours Get more info on our events page!